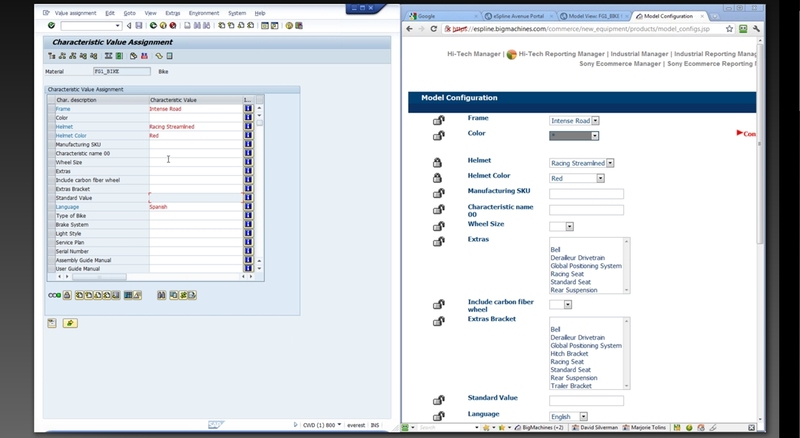 eSpline has had the ability to extract a Variant Configurator product model for many years and it has been tested with 1,000s of SAP models. We have translated 3rd party configurator applications to the SAP VC and now have the ability to translate SAP Variant Configurator rules, tables and BOM's and import all objects to Oracle CPQ | BigMachines. The VC rules patterns are analyzed and rule logic is translated and loaded so that Oracle CPQ rule behavior is virtually the same in either application, so that the investment in the Variant Configurator can be leveraged and continued to be used. We have made available an AutoImport solution, now a part of the application that eliminates virtually all of the manual tasks that are required to import to Oracle CPQ | BigMachines (APIs did not exist) making it much easier to get your VC models or model changes to Oracle CPQ | BigMachines. You are here: Home Does eSpline have a translator for BigMachines?